Mr. Gorguze received his BSE in metallurgical engineering from the University of Michigan in 1941 and was awarded the Department of Materials Science and Engineering Alumni Society Merit Award in 1998. 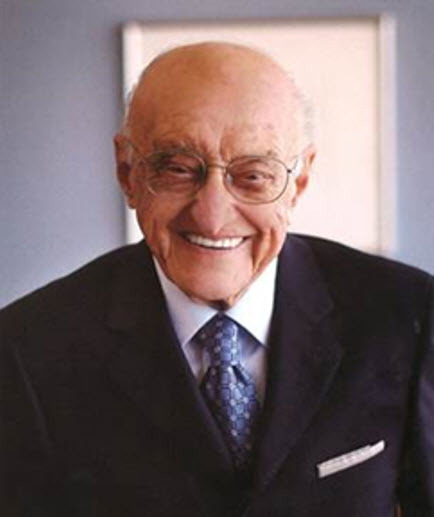 Mr. Gorguze held positions at Ford Motor Company and Curtiss-Wright Corporation before joining Emerson Electric Company in 1962 where he ultimately served as president and chief operating officer, with overall operating responsibility for both the domestic and international operations of the company. As part of Emerson’s senior management team, he was one of the prime architects of its growth from $150 million in annual revenues in 1962 to over $2.0 billion in 1978. In 1978, Mr. Gorguze retired from Emerson Electric and founded Cameron Holdings Corporation; a family office investor that specializes in acquiring and operating middle-market manufacturing, industrial service and value-added distribution companies. Since its beginning, Cameron has established a long and successful track record of acquiring, operating and growing a diverse portfolio of companies around the world and has completed over 40 transactions with an aggregate transaction value in excess of $1.0 billion. To gain more insight into Vincent T. Gorguze, the man, and the upbringing that molded his life and business philosophies, please watch Mr. Gorguze’s 2011 speech for the dedication of the Gorguze Family Lab at the University of Michigan.